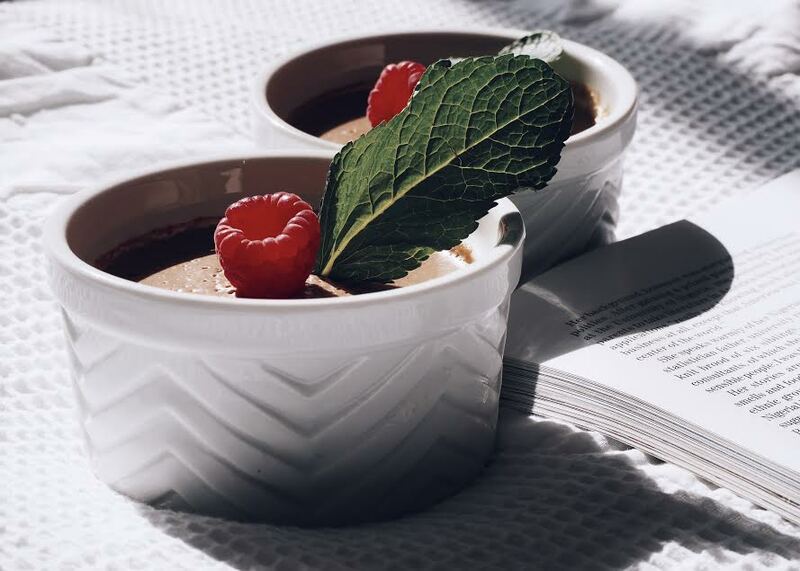 You guys, this is the easiest, lightest, tastiest chocolate pud, that's not just dairy free, perfect for vegans and takes minutes to make, but it is pure perfection in a bowl. Since we started cutting out dairy from our diet, I have to say, whilst I'm not a big chocolate fan, I do from time to time like a good chocolate pud, weird I know, so when I eat this I get my instant chocolate fix, plus it leaves me super happy knowing that it is a lot more healthier too. I know some people may be thanking Avocado! Avocado in a desert, you must be crazy, trust me I'm not, you can not even taste it I promise! I was a little freaked out by using avocado, I think, well it's a veg, not something that should be in a desert, I mean I'm still coming to terms with pineapple being on a pizza, it's just wrong, but I'll face my fears one day and give it a go. Most weekends, particularly after our family Sunday dinner, we like to put our feet up and lazily eat our desserts, with the temperature scorching, no more apple crumble and custard, instead we want something nice and light and hits that sweet spot. 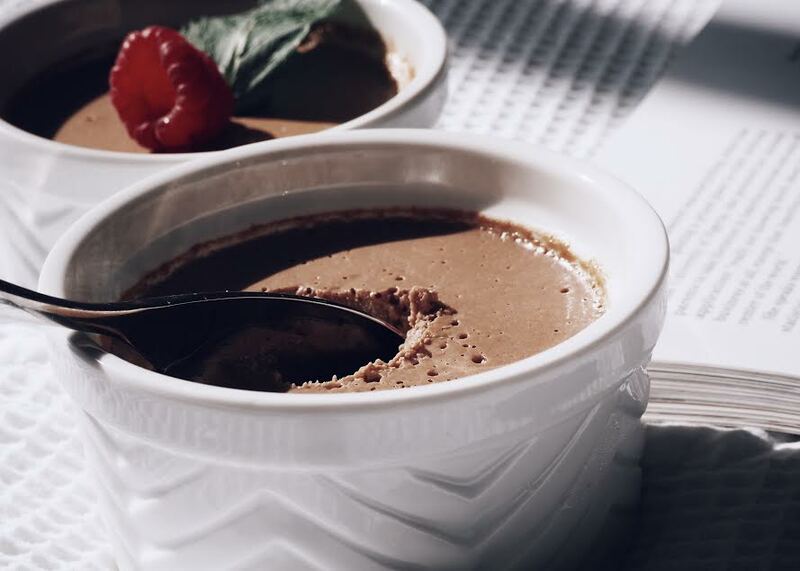 This dairy-free avocado chocolate mousse certainly tickles those taste buds and leaves you feeling content, knowing that it's dairy free and not too sugary, all you need is some essential items which you can easily find in your home, a great blender and you are all set. The blender I can not live without is the Blendtec since it came into my life it has made blending all that much easier. 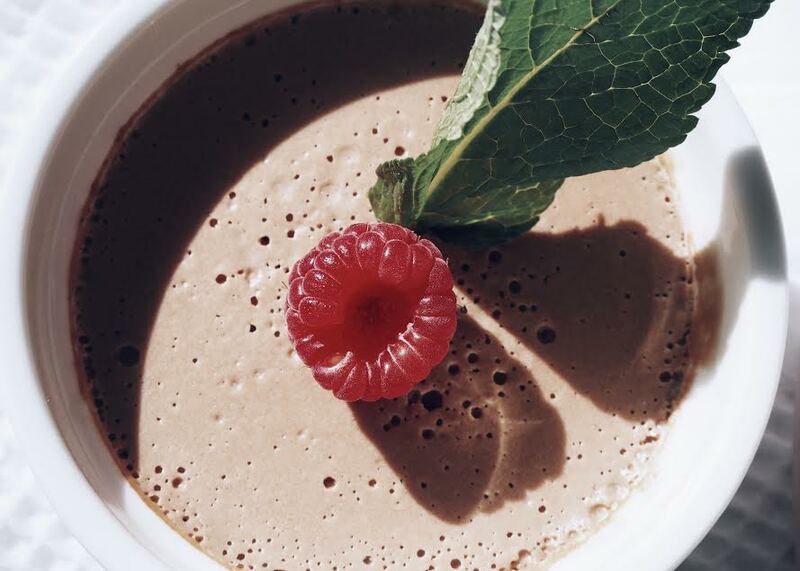 I literally chuck in all my ingredients, hit a few buttons and my healthy chocolate pud is ready in minutes. I love that this one-pot wonder is just that, there is minimal mess, so I'm not stuck in the kitchen washing up mountains of stuff. 1. 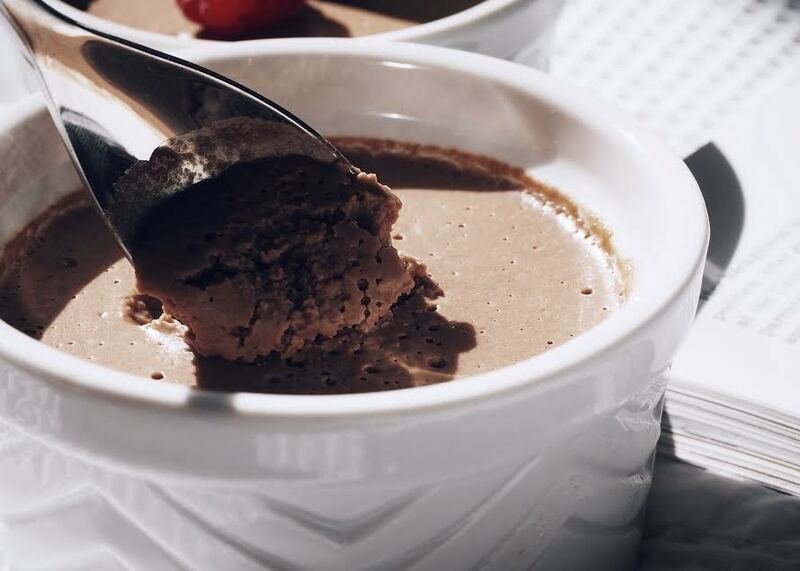 Pop all the ingredients in your blender and blend until smooth, scraping down the sides every now and then. 2. 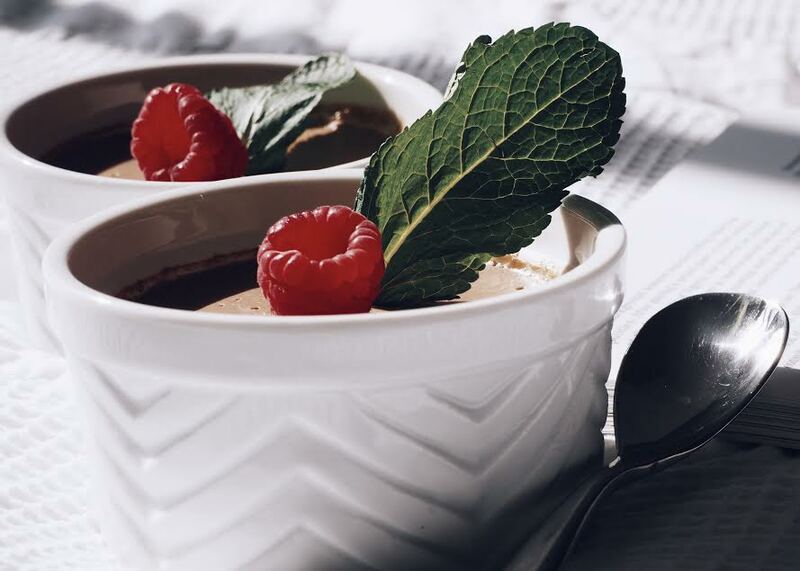 Pour out evenly into your ramekins/serving pots, (saving just a little extra for you for later) add your desired toppings, serve immediately and enjoy! 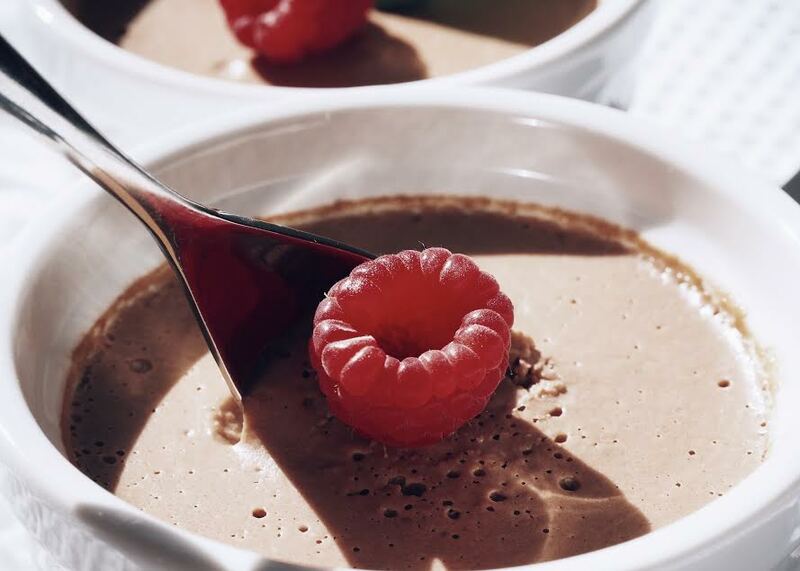 Truly these puddings are simply divine, you must make them this weekend, give it a go and let me know what you think.